UPDATE: It’s been a couple of years since I wrote this post. I have come a LONG way in my planner obsession. Please check out THIS POST for a more recent glimpse into the madness. I mean that in all sincerity.. Here is an updated spread from 2015. 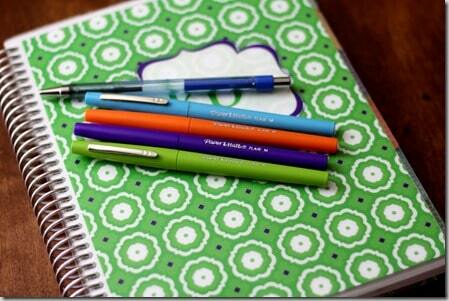 A few months ago, I ordered a new Erin Condren planner with the academic year calendar. It’s been a few months and I absolutely LOVE it. This is the first time I’ve used ONE calendar for both school (I’m a teacher) and life. As I mentioned in my first initial post, I’ve usually kept two calendars. We usually got a free academic calendar when school starts. Then again in January, I would comb the aisles for a calendar for my non-school related appointments. Then I used my iphone for some random stuff when I didn’t have the right calendar with me. 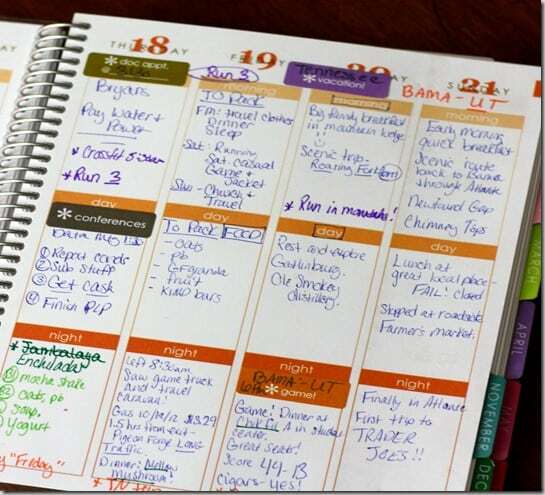 It was just too confusing keeping all these things organized that are supposed to make my life more….organized. This life planner has solved that problem. First, I want to show the best pens I have found. 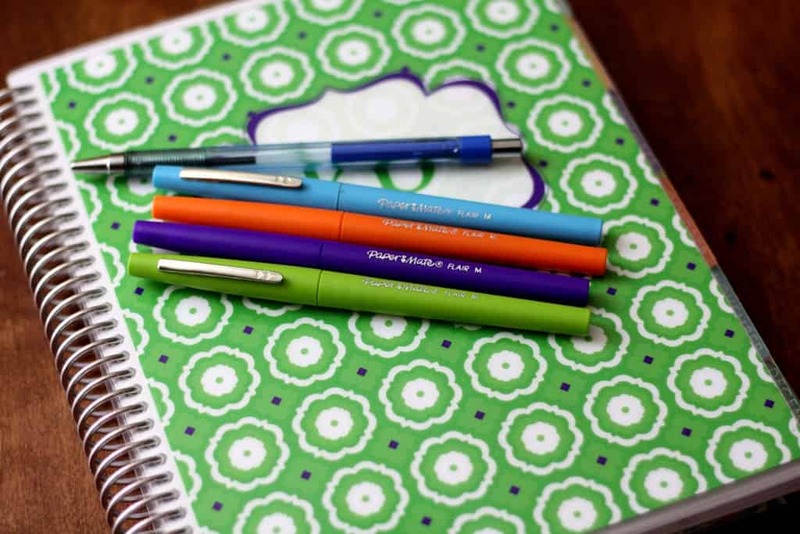 I bought the EC pens because I do color code my life planner. I also use these Paper Mate FLAIR felt-tip pens. 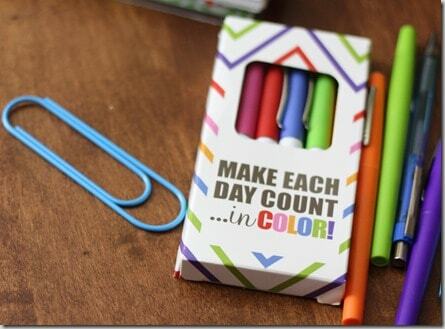 I love these because of the vibrant color that does not bleed through. The monthly calendar at a view. The two page layout allows for more writing and the stickers fit! The first thing I did when I got the planner was put in the Alabama Football schedule! In my previous post, I detailed how I would use this differently than the “morning/day/night” sections that are printed on each day. I had to come up with a way to keep all my stuff organized for quick viewing but handy to use, too. Section 1(top): Non-school related appointments, to-do, reminders. 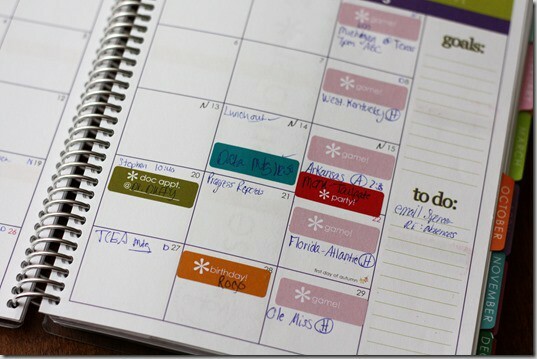 I usually put my stickers for non-school related events at the top as well, like birthdays, vacations, doctors. Sections 1 is where I posted my planned workouts. I wrote these in PURPLE when I made my plan for the week. Section 2 (middle): All SCHOOL related reminders, apts, information. All school-related stickers went here, as well. I made this section BLUE since I use only blue ball point pens. I rarely have time to dig for another color when someone walks in or announces over an intercom about an event or reminder that I need to write down. 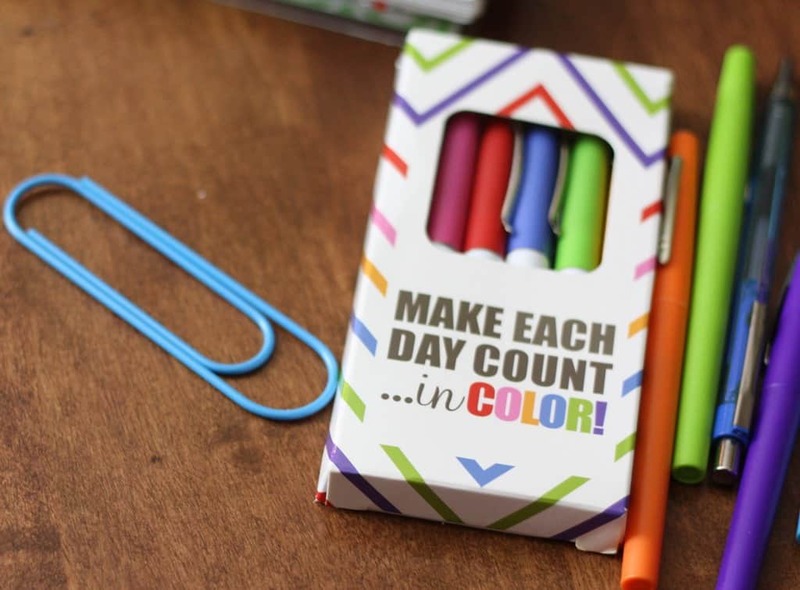 I ALWAYS have stashes of blue pens in about 10 places in the classroom, so this made perfect sense and it has worked great. Section 3: Food/blog. I write my dinner menu for the week and keep up with my other meals. I write these in GREEN. (Eat more greens!). Blog topics are in orange. 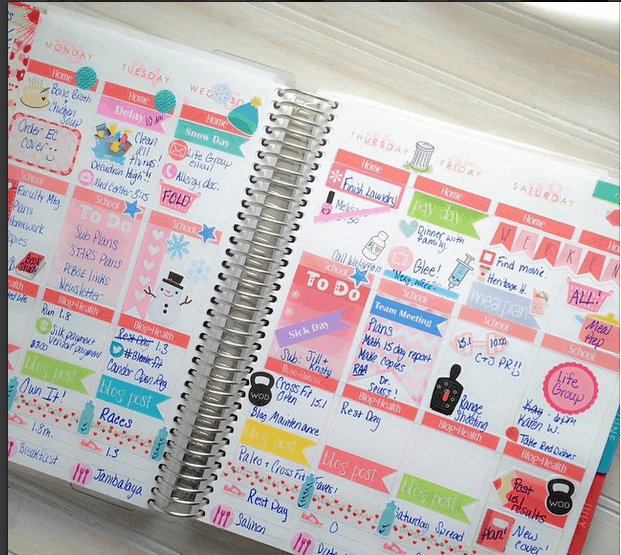 I chose this certain week to show you one of my favorite parts of this planner. The weekend! Saturday and Sunday are at the end of the week. I know that Sunday is the real first day of the week, however, when I sit down to plan my week, I like the M-Friday first. Then I use the S/S for various things like obviously any events or appointments, but also to keep a running list of things to get at the store. This calendar sits on my desk at school so I can quickly jot things down.
. But I don’t always have a computer open nor am I typing while driving in a car. I used my pictures and my notes I wrote in the planner to help detail my blog posts. My grandma would be proud! As far as other details, I made an extra pocket in the back. In my previous post, I said I had bought a deeply discounted planner in April of this year so I could see if I liked it before I spent the money on a full year calendar. 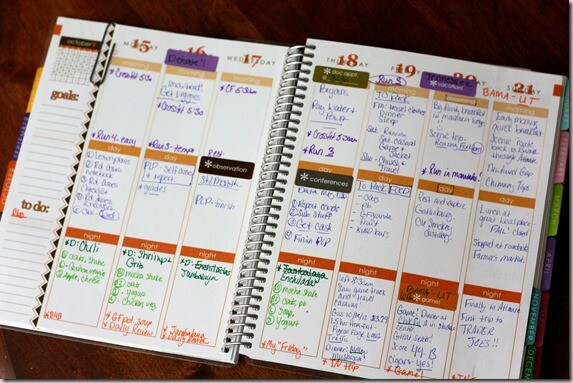 The 2011-2012 life planners had double sided pockets. These new 2012-2013 planners have a large pocket on one side. I ripped out the previous pocket in the old planner and stapled it to the new planner. Two pockets! 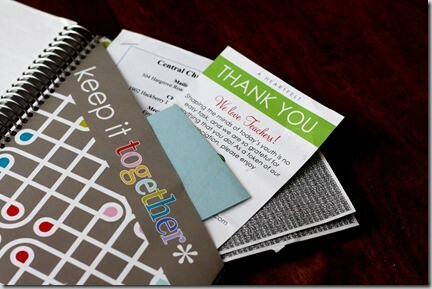 I keep the larger things like pay stubs, church directory of care group information, sub phone lists, coupons from EC! And the aluminum coil is PERFECT! Behind the pocket is a zip pouch. I think this is one of the very best features. 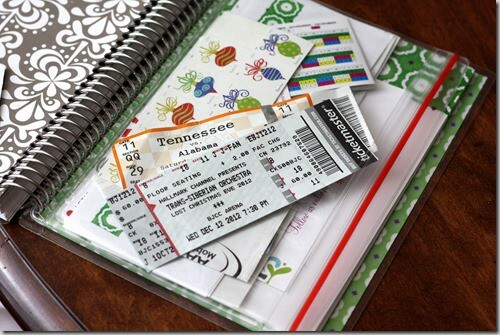 Tickets, stamps, work schedules, address labels, receipts, etc. And in the back is something that makes the teacher in me smile. Personalized, perfectly matching notepads. Now that 2013 is just around the corner, I’m ready. Would I still use this in the way I do if I wasn’t a teacher? Yes, I would use the middle section as a “work” section. If I had kids, I imagine I would use it other ways. 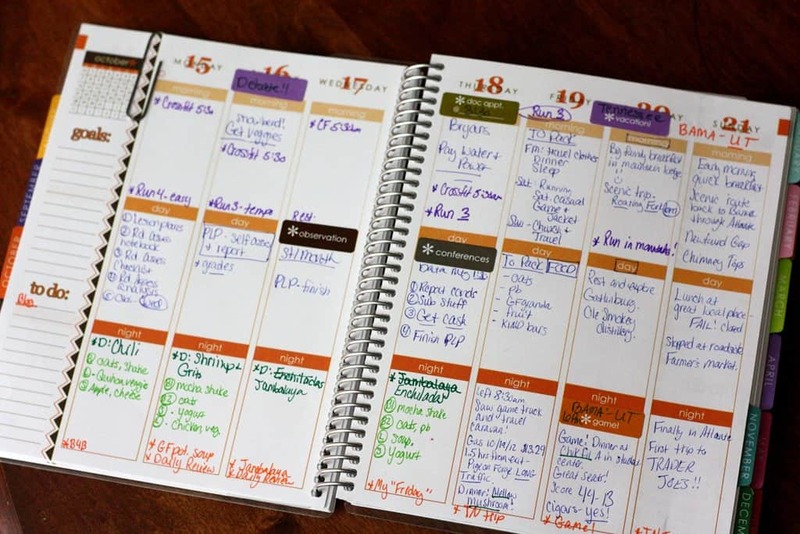 This is an extremely adaptable planner to fit YOUR life. 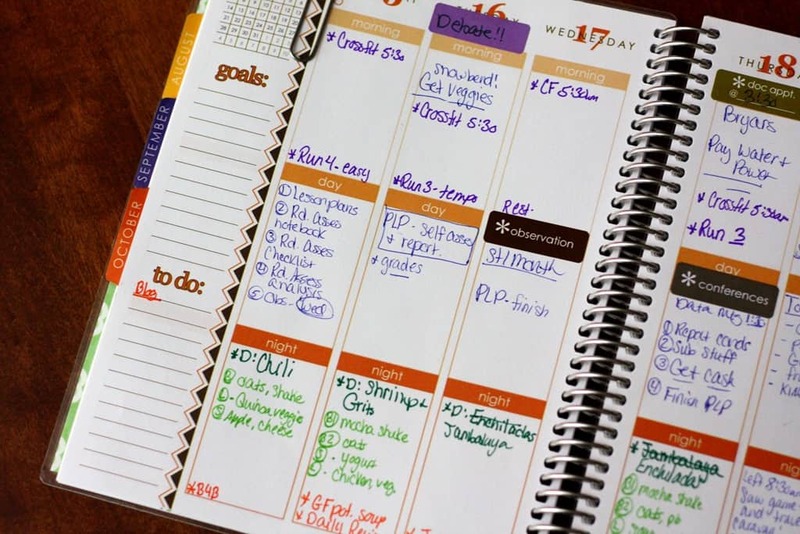 It took me about 3 weeks to get used to always keeping ONE planner with me and where to quickly look for the section of life I needed. Now, I can’t imagine not having it with me. I even bought a new bag centered around keeping this planner with me at all times..THAT’s how much I love and use this planner. I’ll do a review on my bag (which holds my camera and iPad, too!) soon. Previous Post: « The post-holiday glow! Yes, I read your blog. I do try to check it every day. Love you. i have one too and LOVE it!! i’m a total planner nerd too and LIVE by my paper companion. 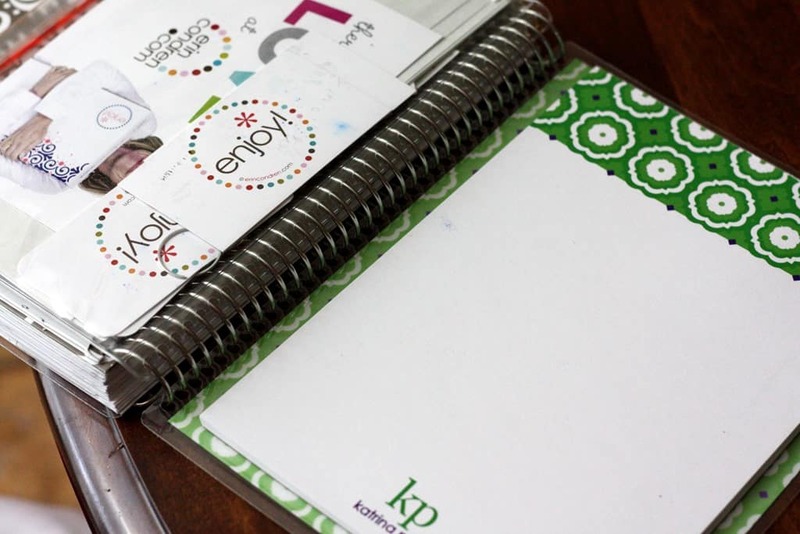 and as of now i definitely think i’ll be sticking with erin condren for quite some time. the layout is just perfect. i use mine pretty similarly to yours! 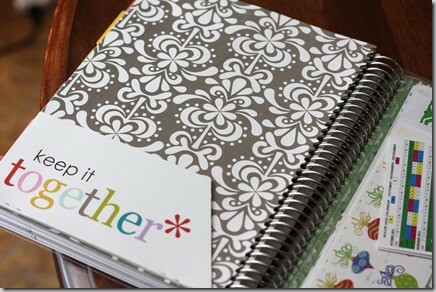 I just got my second Erin Condren life planner for 2013 and I have the teacher lesson planner too. The problem is that I’m not really much of a planner user (even as a teacher, I don’t write as much stuff down as I should!!) and then I had TWO planners and I felt like I was still forgetting stuff!! I love the way you organized yours! (and I’ve played with using the different sections for different things, but just didn’t iron it all out!) Definitely gonna try this method for 2013, especially as I get back into the habit of working out and blogging more regularly! did you ever post about the bag? I’d love to see it! What bag do you use? I tried to do a search and couldn’t find anything. 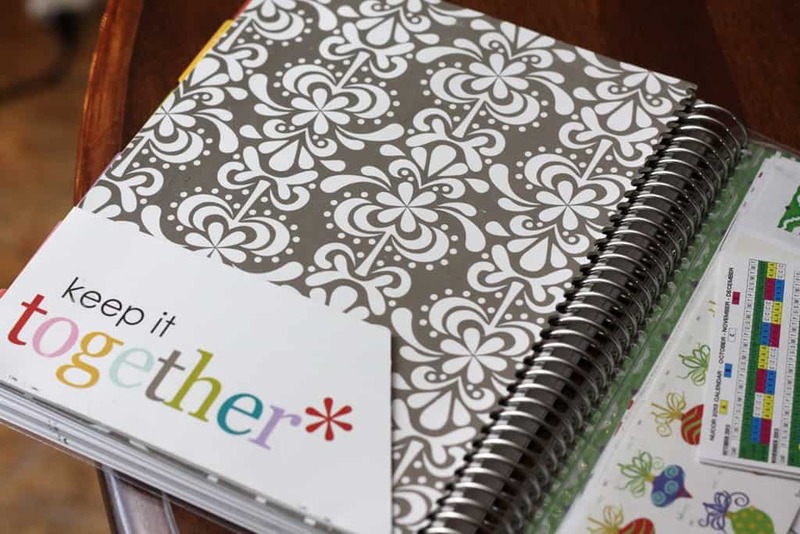 I just wanted to thank you for your review, I was thinking about ordering the planner, but now I’m absolutely sure. The way you organized your life is brilliant. By the way, not even the Russians reading your blog, the Germans doing it as well. I cannot find the review of your bag : “I’ll do a review on my bag (which holds my camera and iPad, too!) soon” I looked all over this weekend to find a bag that would fit my planner and my wallet. possible, and one’m not prepared to go out without the whole group. SB settings could be accessed from the telling bar or the status bar. I do consider all of the concepts you have offered on your post. Thanks for finally writing about >Erin Condren Planner 5 months later – Katrina Runs For Food <Loved it! 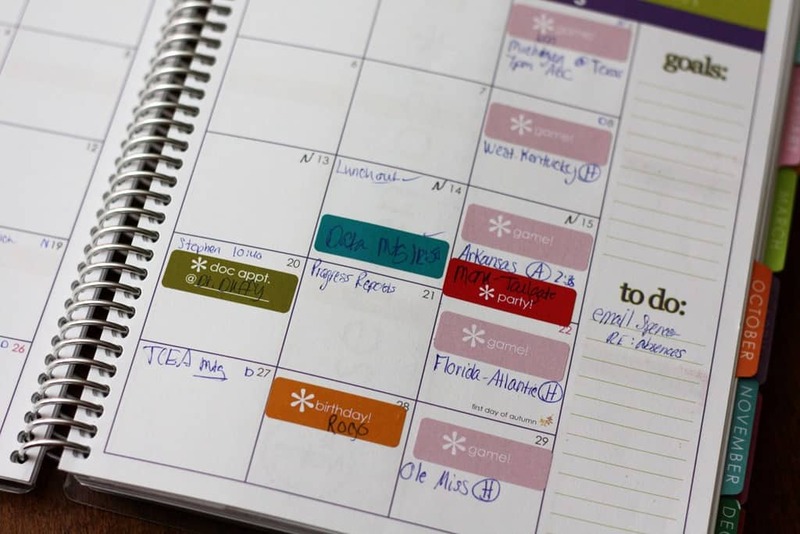 I just love seeing how you use your EC planner! I just ordered mine and am patiently waiting its arrival.